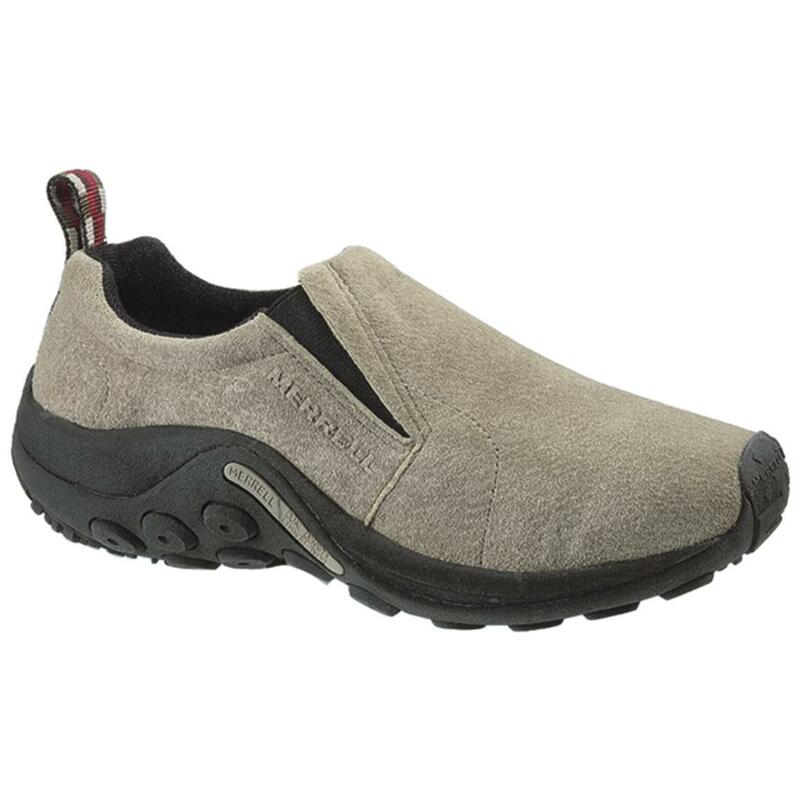 Merrell® Jungle Mocs wear like easygoing slip-on shoes. But they're also built for the outdoors, featuring lugged M Select GRIP outsoles for highly slip-resistant traction over mixed terrain, wet or dry. All while being supportive and comfortable. No wonder they're a top seller and customer favorite. Order these slip-on shoes today! Merrell Mens Jungle Moc Suede Shoes is rated 4.6 out of 5 by 14. Rated 5 out of 5 by TxPh from Excellent shoes as always! Excellent fit & style for me. I wish they would last a bit longer BUT these are my primary wear thats why I now keep 2-3 different styles, these fit and wear comfortably on my feet having nerve damage from a blown out back...these are just about all I wear. Rated 5 out of 5 by 4065shooter from Not cheap but worth every dime. Best shoe ever made, saved my back, only shoes I wear. 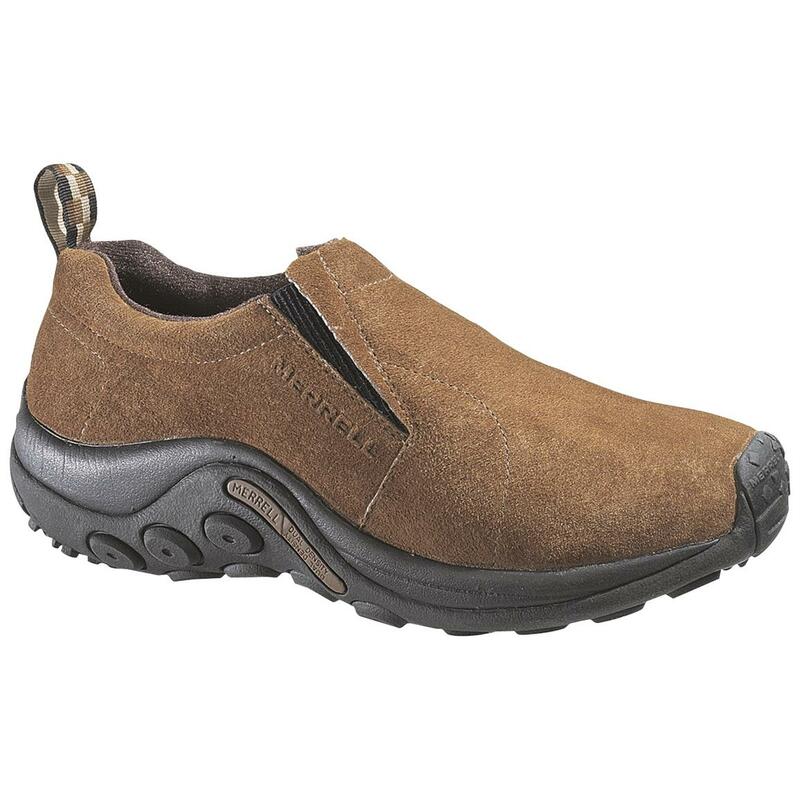 Rated 5 out of 5 by PHILIP from Merrells, great shoes. Rated 5 out of 5 by FRED from Fantastic.. ordered another pair. Rated 5 out of 5 by FRED from FANTASTIC. Comfortable, had to order another pair..